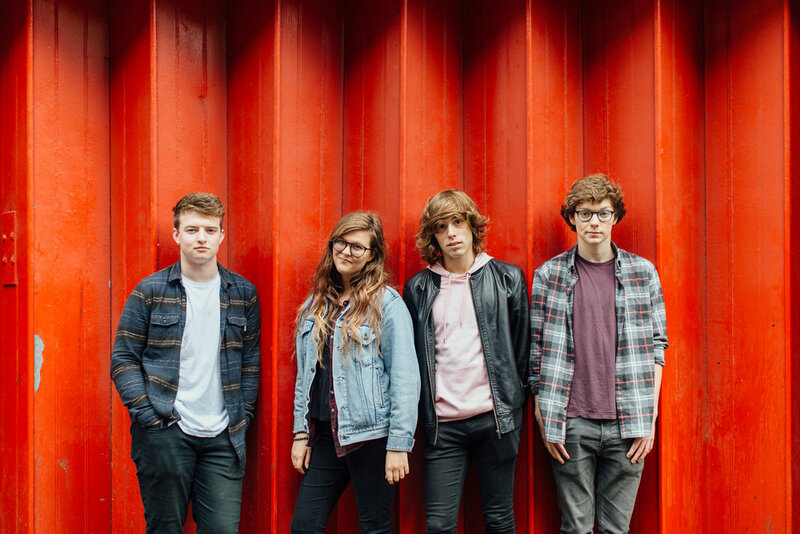 A family affair of sorts, NI’s Brand New Friend seem unstoppable lately, garnering a wealth of attention for their attention to detail, killer hooks and earworm melodies. Watch this space. 2017 seems to have been a really positive year for the band - what was your highlight of the year? It really was an incredible year for us! It's hard to pinpoint an exact highlight, as every week we seemed to be doing something exciting and getting to gig so often is the dream. That said, we'll never forget playing the Introducing Stage at Radio One's Big Weekend in Hull. It was our first English gig and our little brother Logan came over with us, so it was like a holiday with a gig in the middle! How do you think your live show has developed, given the past 12 months has seen Brand New Friend rack up a series of well received gigs? Can you tell us a little bit about the dynamic of the band - how do you split writing duties and how do you find recording as a unit? Our songs never become Brand New Friend songs until we've all put our stamp on it! Sometimes I'll write a song, bring it to practice and it'll grow into something there and then. We also like to jam a lot and if Aaron has a great bass line or chord progression that can become a song easily too. What prompted you guys to pursue music in the first place - any lightbulb moments that set you off way back when? All four of us have different stories that have brought us to Brand New Friend. Lauren is a classically trained singer and because she's my little sister I've been watching and listening to her perform since she could talk. When I decided to form a band there was no way she wasn't going to be in it, I didn't give her a choice. Aaron's uncle plays in a band and was a big early influence on him as a kid. His Mum taught him to play guitar and eventually he formed a band with Luke would you believe. Luke was taught to play drums by a jazz drummer and was our friend before any of us knew he could play an instrument, we were very lucky that he could and was class at it. I was given a guitar for doing well in my GCSEs. No one expected me to do well, which is why I think my parents wanted to get me something to try and keep me motivated with my work. Of course it did the opposite and I've been writing songs and avoiding work ever since. Definitely our debut album coming out! It's out on Xtra Mile Recordings in April and holding it in our hands will be one of the proudest moments of our lives. If we can gig like crazy too, then we really will be living the dream.